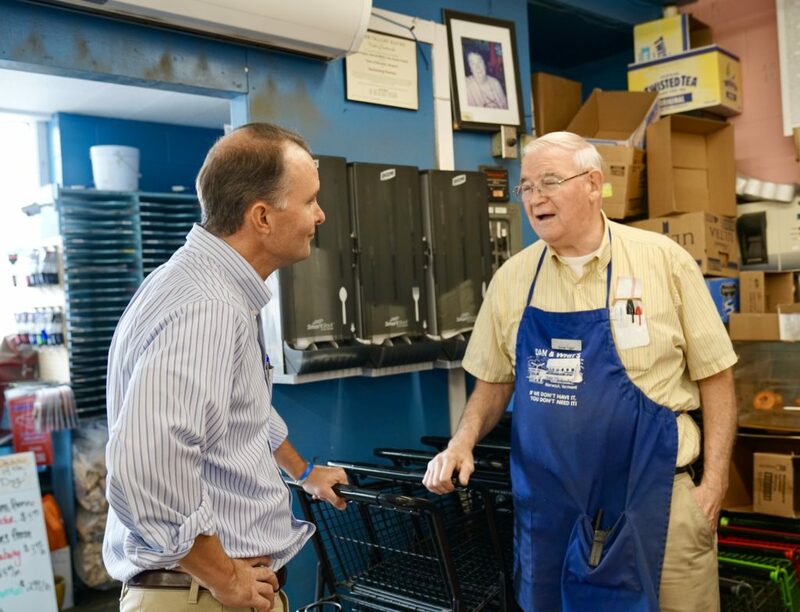 Through helping raise over $1 million for local nonprofits and providing second chances at employment, our July Vermonter of the Month, Dan Fraser of Dan & Whit’s in Norwich, is proving that small businesses can have BIG impacts on their Vermont communities. 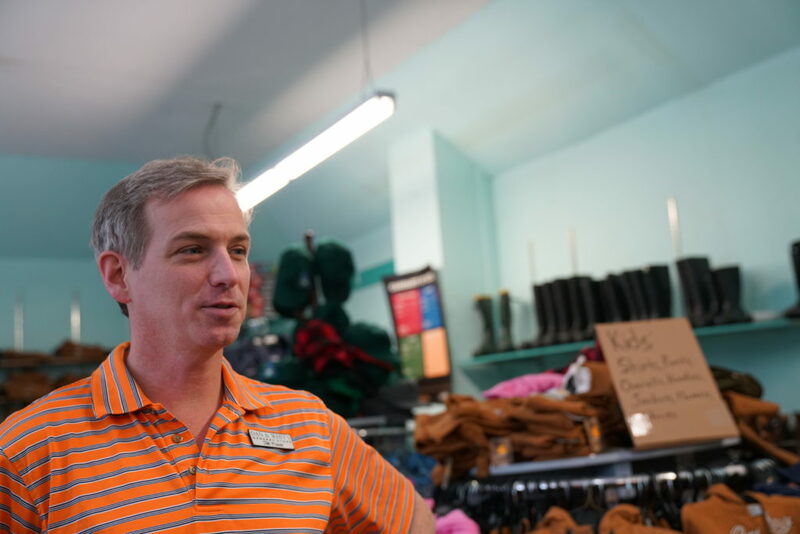 Dan D. Fraser is the Vice President and Treasurer of Dan & Whit’s, a family-owned general store which is fondly considered the unofficial community center of Norwich. Dan began working at Dan & Whit’s (named after his grandfather, Dan S. Fraser) afterschool for two hours a week while in the 4th grade. 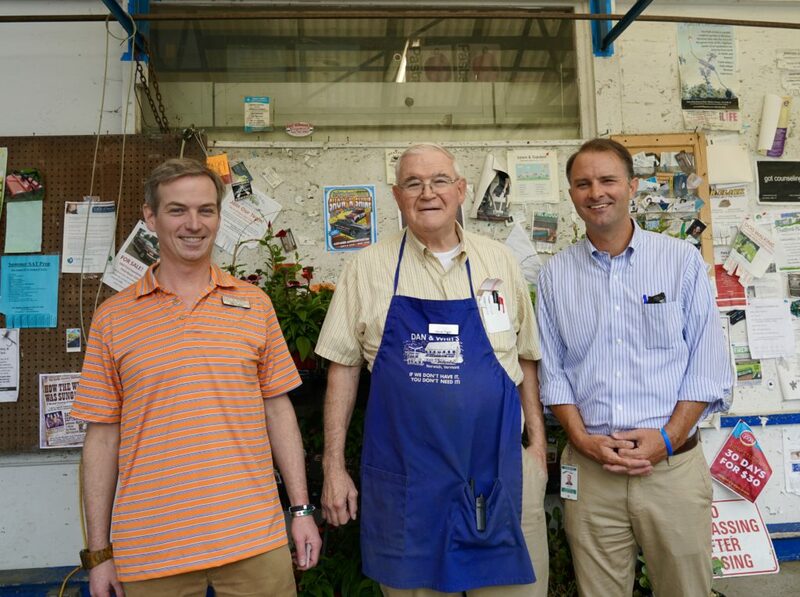 As an adult, Dan continued his dual responsibilities of school and store for many years while working as a special education teacher and continuing to work at the general store. For 14 years, Dan worked in the Hartford (Vermont) and Dresden (New Hampshire) school districts before leaving to focus solely on his work at Dan & Whit’s. 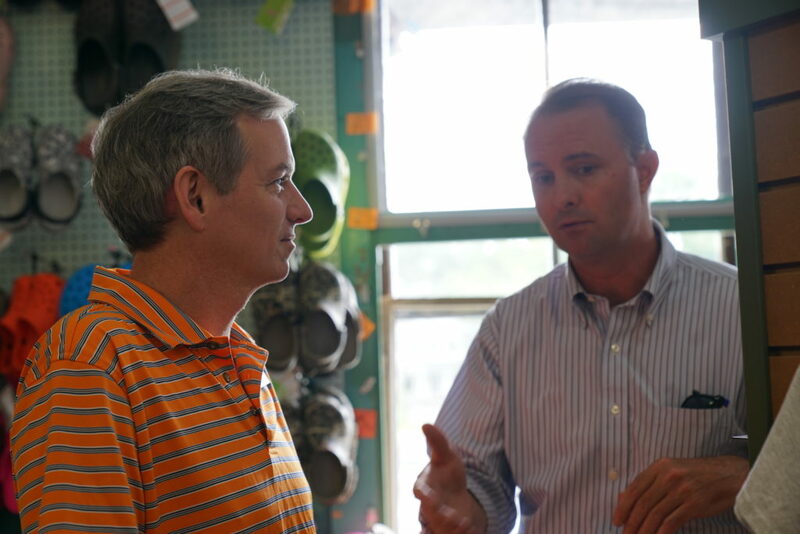 After meeting with Dan and hearing about the positive work he is doing in his community, it’s clear that the same passions and beliefs that informed his work as an educator have carried over to his business. 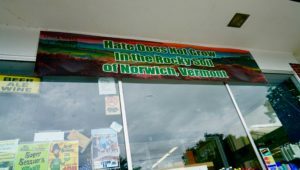 If you haven’t had the pleasure of visiting Dan and Whit’s or meeting Dan, just look to the banner hanging outside of the store—”Hate Does Not Grow In the Rocky Soil of Norwich, Vermont”—for proof of this. 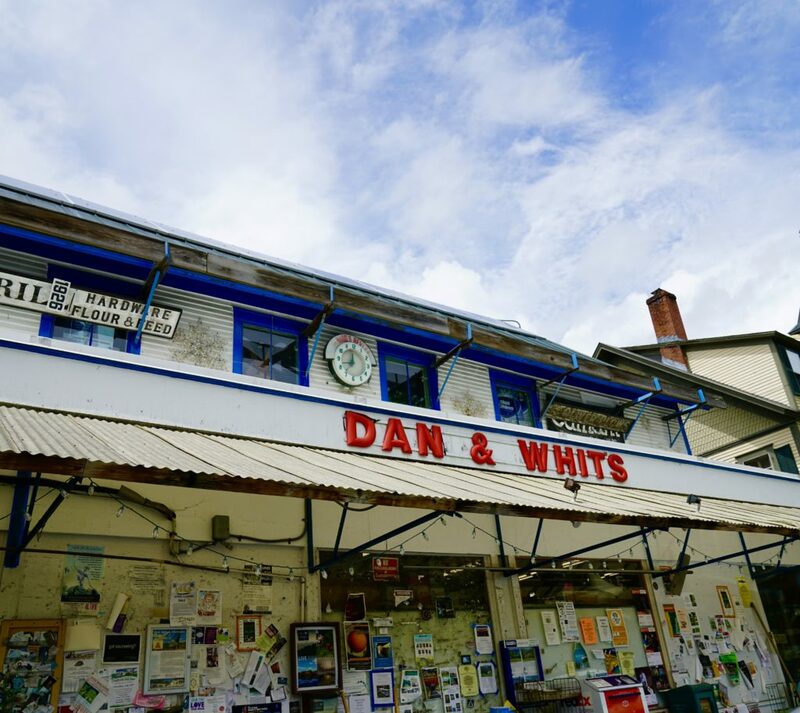 What sets Dan and Whit’s apart from other general stores? What is the mission? Our motto is “If we don’t have it, you don’t need it”—produce, meat, grocery, gas, hunting/fishing, clothing, hardware, lawn/garden, beer/wine, etc. We are the epicenter of town. Houses are sold locally in reference to us—“Just 2 miles from Dan & Whit’s.” We are the “community center” of Norwich. Our mission is to serve our customers. 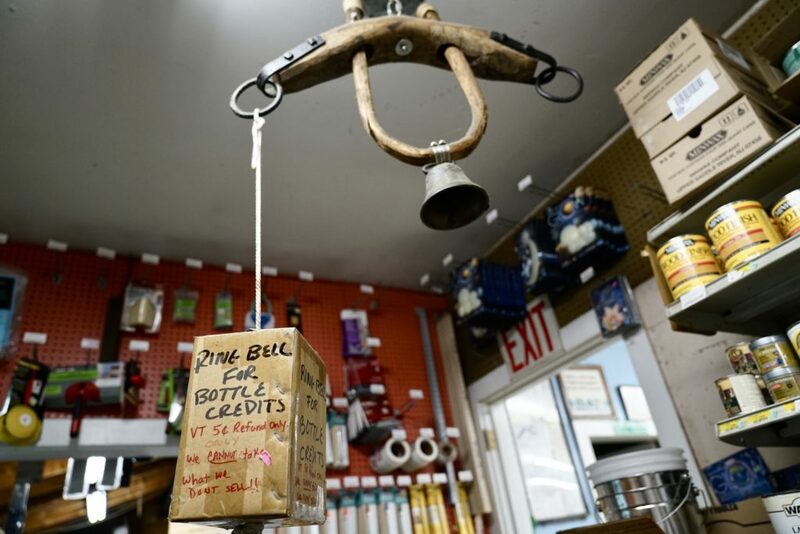 We set ourselves apart from other general stores in terms of size and product selection. We are open every day from 7am – 9pm, except for Thanksgiving and Christmas when we close at noon. What inspires your work, both at Dan and Whit’s and in the community? What inspires me—well, giving back to our community, supporting the needs and organizations of our customers creates loyalty. It’s a win-win. We like to make things happen when people say that it is impossible. I love a challenge. Helping others is so easy, and so rewarding. We support almost every sports team, religious organization, and non-profit in town and the Upper Valley. We do a monthly wine tasting, pairing with a different non-profit each month. We began this in December 2010 and have raised over $50,000. We also have Milk and Egg Monday where customers can purchase milk/eggs that we deliver to the Upper Valley Haven homeless shelter. Wednesdays are Pizza Wednesday and we donate $1 from each pizza sale to a non-profit. In December 2013, I began “The 19 Days of Norwich, 1% for the Upper Valley Haven,” where we donated 1% of sales to local homeless shelter. Soon, all the businesses in town joined us. During the second year, many businesses in the Upper Valley joined us—over 100 businesses participated! In 2017, our fifth year, our cumulative total raised is over $1 MILLION!!! 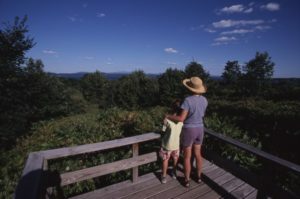 What have you learned from your work with Dismas of Vermont? With my background in special education, we employ many individuals with special needs. In addition, we have paired with Dismas of Vermont for many years now to employ newly paroled persons. I have learned that with additional layers of support, this can be very successful. Everyone has something to offer and deserves a second chance. We also employ homeless individuals who are guests at the Upper Valley Haven. Think outside the box. Talk to nonprofits in your community and see how you can pair to solve issues and provide employment opportunities. Take the first step and get involved. We’ve had some nice days here in Vermont. 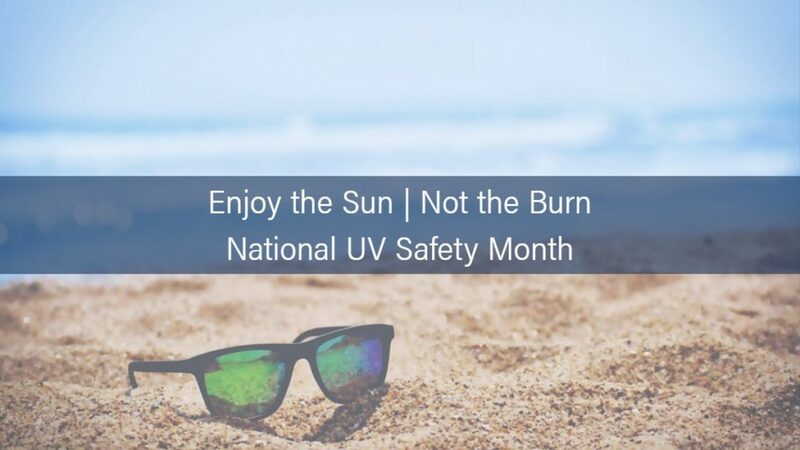 Though most people may not greet a sunshiny day with concern about ultraviolet (UV) protection, it is something we must be mindful about. UV radiation comes from the sun and man-made sources like tanning beds. The most common cancer in the United States, skin cancer, is primarily caused by too much UV exposure. The most obvious way to avoid UV exposure is to seek shade, or cover up, but for the times that you must be in the sun, a good sunscreen is recommended. There is no one sunscreen that will prohibit exposure to all types of UV rays. Even sunscreen labeled with 100% SPF only protects against 99% of UV rays. The sun emits many kinds of UV rays. SPF helps to protect against UVB, which primarily causes sunburn. But, just because you don’t get a burn, doesn’t mean your skin hasn’t encountered risky sun exposure. The Broad Spectrum label informs that the sunscreen has been shown to protect against both UVA and UVB rays. 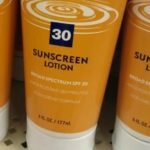 Sunscreen waterproof claims have been debunked by science, so, products can no longer make that claim. They can still say “water resistant,” and must state for how long the product would continue to work after swimming or sweating. Sunglasses can provide great protection too. UV radiation from the sun can damage the cornea, lens, and other parts of the eye. Cataracts can also develop from too much sun exposure. Full coverage of the entire eye, wraparound, or close-fitting frames to screen out 75 to 90 percent of visible light. Choosing larger frames can help. Whether it’s under a tree, tarp, or behind some awesome shades and a hat, we hope you can get outside and enjoy the sunshine as much as possible this summer!